Did you know that specific medicinal mushrooms benefit a range of fertility issues? Today you will learn about four mushrooms that have been shown to support fertility health. From immune related issues, to stress management and sexual function, these four vastly different fungi contain medicinal properties to support fertility in men and women. This swirling mushroom has a variety of species and is found in Asia, Europe, North America and the Amazon. It is typically found growing on oak trees in the southeastern and southwestern United States. In the northeastern United States, it can be found growing on maple trees. Despite it being spread across the globe, it is quite rare to find in the wild and, because of that, it is commonly cultivated. Reishi is most commonly used to strengthen the immune system. This mushroom down-regulates excessive immune response (common in autoimmune disease), but enhances monocyte, macrophage, and T lymphocyte activity. It is also anti-inflammatory, anti-candida, and has been shown to support the body during states of stress. Reishi is also protective of the liver. Reishi is a well-known adaptogen,* shown to improve adrenal cortical function, which is why it has the ability to support the body during states of stress. Reproductive health issues and infertility may increase a person’s stress level. For those who are finding it hard to manage their stress levels, Reishi may be an option. Liver health is vital to hormonal balance. Reishi’s ability to support and protect liver health may be useful for those who have been through several cycles of medicated IUI, IVF or long-term birth-control use, which may have an impact on the liver. The effects of this mushroom on the body are cumulative. This simply means that daily use, over time, is necessary to achieve full benefits. Reishi has been shown to reduce pelvic inflammation when administered daily in 3 separate doses of 12 mL extract. Reishi’s ability to reduce pelvic inflammation makes it a good candidate for managing the discomfort of endometriosis, uterine fibroids, dysmenorrhea, and PID. Safety precaution: For persons on blood thinning medications, ask your doctor if it is okay to take Reishi supplements. There is a slight blood-thinning caution. This delicious mushroom, which I absolutely love in soups, has been shown to have a variety of actions on the body. So, not only is this mushroom very delicious and highly nutritious, it also has many medicinal properties, many of which can be applied to reproductive health. Shiitake mushrooms are a traditional delicacy in Japan, Korea, and China. For a thousand plus years, this mushroom was commonly grown outdoors on logs in the temperate mountainous regions of Asia. Shiitake may be the most popular gourmet mushroom on the planet. Cultivation of shiitake has employed thousands of peoples for centuries and is now commonly produced in rapid-cycle cultivation indoors on heat-treated sawdust or straw-based substrates. Shiitake supports both blood pressure and cardiovascular health. As we know, healthy circulation is vital to the health of the reproductive system. Shiitake has also been shown to stimulate and support the immune system, supporting the body in reducing tumor growth (potential for uterine fibroids), aid the body in managing stress, and enhancing sexual function. A 2001 study showed that cell-free extract of fermented mycelium significantly inhibited the growth of Candida albicans. Candida overgrowth is the main cause of yeast infection of women. May be eaten regularly as a food. Delicious in stews, soups, sauces, and stir-fry. This fungus colonizes on larvae (caterpillar) of the Thitarodes genus of ghost moth. It sounds kind of gross, but cordyceps has become quite popular over the years and because of this, is quite rare to find in the wild. Overharvesting has caused a decimation of wild cordyceps. It is now being cultivated on cooked soybeans, a more sustainable practice. Cordyceps contains immune-system supporting polysaccharides, amino acids, fatty acids, and polyamines (play a role in cell growth). Animal, human, and in vitro studies have shown that cordyceps has the ability to enhance aerobic capacity and cellular energy stores. Human trials have shown this mushroom normalizes immune system function, prevents damage to cells from free radicals and help restore normal macrophage and natural killer (NK) cell function. 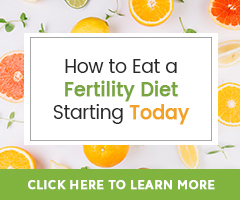 These actions show a real potential for supporting a variety of fertility issues, including poor egg and sperm health associated with declining age and/or nutritional deficiencies, immune related recurrent miscarriage, antisperm antibodies, and PCOS. One study, published by The American Journal of Chinese Medicine, showed that Cordyceps militaris supplementation in Sprague-Dawley rats enhanced sperm production and sperm motility after 5 weeks of supplementation. In addition, both serum testosterone and 17-estradiol (E2) levels were increased, but no other hormones in the body were. The researchers wanted to see the mechanism of action of Cordyceps, since it has been used traditionally in TCM for the enhancement of sexual function in both men and women. Another study, published in Biology of Reproduction, showed that Cordyceps sinensis enhanced 17-estradiol production (E2) in human females. E2 production directly influences the quality of maturing oocytes. This discovery plays an important role in not only natural conception, but for those seeking medical reproductive assistance. The researchers hope was to help the development of treatments to improve success rates for IVF. Important Note: Due to the risk of mold and bacterial contamination from cordyceps that is wild from Asia, we feel it is best to purchase cordyceps cultivated on soybeans or rice. Safety caution: Some studies have shown excessive consumption of cordyceps may depress the immune system, cause edema, anxiety and headache. For those taking immunosuppressive drugs, they should consult with their doctor before choosing to take cordyceps. Maitake is found in the wild at the base of dying or dead deciduous hardwood trees such as oak, elm, maple, honey locust, and beech. Known in the United States as hen-of-the woods because it looks like the fluffed-out feathers of a hen, this interesting mushroom is delicious, nutritious and has been shown through several studies to contain anti-tumor properties, while also enhancing immune system function. A particular interesting fact about maitake is that when the dried mushroom is placed in direct sunlight outdoors, the amount of vitamin D2 increases. One study showed the vitamin D2 content to increase from 460 IU (indoors) to 21,000 IU. Vitamin D plays a significant role in the health of the human body. Vitamin D is required for regulation of ovulation. Studies have shown that women with PCOS and uterine fibroids commonly are deficient in vitamin D.
Maitake may be supportive for those with immune-related infertility issues, uterine fibroids (benign tumors of the uterus), or menstrual cycle irregularities due to nutritional deficiencies. A good immune-enhancing tonic tea (decoction) combination would be equal parts maitake, shiitake and Reishi at 3 cups a day. All of these mushrooms are safe for combination with herbs and often work better when combined with one another. These mushrooms may enhance the action of herbal blends and support a wide array of body system functions for optimal health. Safety precaution for taking mushrooms therapeutically: Avoid if you have mushroom allergies. *Adaptogen is a definition used to describe an action of a medicinal plant or mushroom. To classify an herb or mushroom as an adaptogen means it helps to strengthen the body so it is able to better resist disease and stress, support the adrenal glands, and balance the body’s functions. In order for an herb to be considered an adaptogen, it must be non-toxic or harmless to any organ of the body and must be able to be ingested for long periods of time safely. Stamets, Paul. Mycelium Running How Mushrooms Can Help Save the World, Ten Speed Press, 2005.